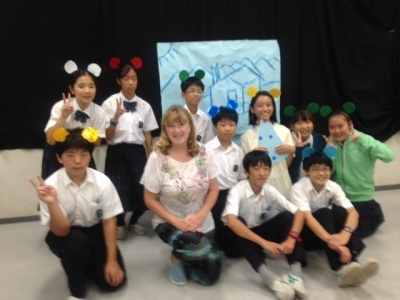 In part 1, I wrote about how I introduced one of my picture books, "Blue Mouse, Yellow Mouse" at Musashi JHS in July. The students then got into groups and developed the story in whichever way that they wanted. I told them to continue the story from the last page or to insert some new scenes or to take the story off on any tangent they wished during the course of the story. 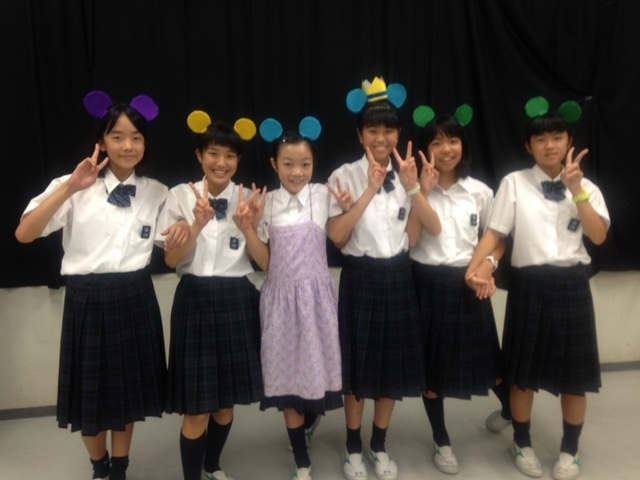 On 31st August I went to see the skits they had developed and gave them some advice about the content and presentation. 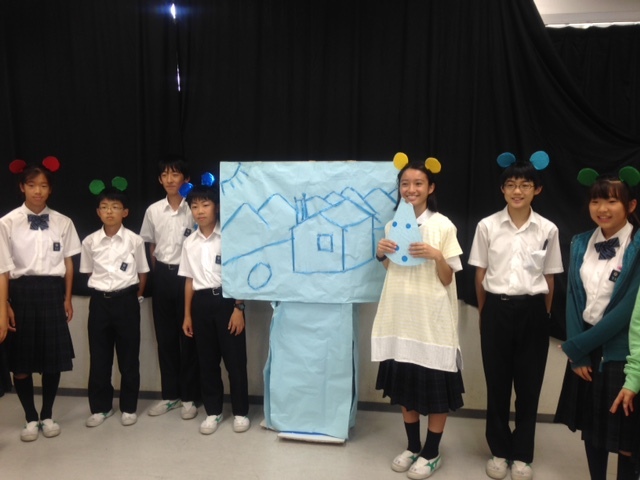 The students really came up with some super original stories, such as Blue Mouse Land going to war with Yellow Mouse Land and Yellow Mouse being thrown into prison, a White Cat up to no good disturbing the peace in Rainbow Land and Green Mice going off on an adventure and making friends with Purple Mice. The students made costumes, practiced their skits and performed them at the school festival on 9th and 10th September. I managed to see some of the dramas on 9th September and was really impressed with how they had developed their ideas since the previous class. Picture books are a source of imagination, stimulation and creativity for all ages!